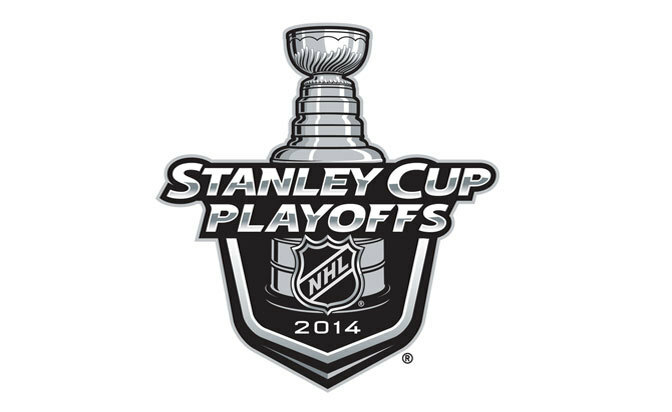 With the puck ready to drop for the 2014 NHL playoffs, a few of us at CHB make our predictions for the first round. At least with the Canucks not making it, we can make our picks with our brains, rather than our hearts. Well, mostly our brains. We flipped coins, drew straws and other things too. Victoria: Avalanche in 5. This prediction is based on the real fear that if Minnesota makes it too far in the playoffs we’ll all fall into a coma. Most boring hockey ever. So come on Avs, knock them out and save us all. Matt: Avalanche in 5. This isn’t the same team that won the Nathan MacKinnon sweepstakes at this time last year. This is a ferocious, tenacious, deep team that has excelled under the marvelous coaching of Patrick Roy and is stable in goal thanks to the performance of Semyon Varlamov. Minnesota is good enough to perhaps steal a game, but a series? I’m not buying it. Chris: Avalanche in 5. There is no reason to believe that Patrick Roy will tolerate the team losing to the Wild. Therefore, fear itself will propel the Avs through to the second round. J.J.: Avalanche in 7. I’ve been waiting for the Avs to crash and burn all year, but they look like the real deal. Wild will give them some pushback, but I don’t think enough of one to take the series. Clay: Avalanche in 5. Colorado is too young, too fast, and too skilled to lose to the Wild. Victoria: Hawks in 6. As long as Toews and Kane are healthy, I see the Hawks rolling over the Blues fairly easily. They’re young, strong, talented and they’ve been here before and know how to win. Blues, not so much. Matt: Hawks in 7. A first-round series that should really be worthy of a Conference Final, I’d hedge my bets on the defending champion over a team which – on paper – is built for the playoffs. This looks like it could be a physical series from start to finish, but again I believe the Blackhawks’ top guns will survive this war of attrition. How much they have left after this is another debate in itself. Chris: Hawks in 7. I’ll be honest, I flipped a coin to determine who wins in 7 games. These two teams will beat the living daylights out of each other. J.J.: Hawks in 6. The Blues are hurt and slumping; the Hawks are about to get Kane and Toews back. Unless Ryan Miller turns into a money goalie overnight – the eye test says he hasn’t had the impact the Blues had hoped for – Chicago gets this one. Clay: Hawks in 7. One of the most intriguing first-round series. It sounds like Chicago is healthy, while St. Louis is everything but. Victoria: Ducks in 5. Teemu wants one last Cup and he’s gonna steamroll Seguin, Benn and the Stars to get there. I’m hoping, because I am not a Ducks fan at all, that eventually they run out of steam, but it won’t be in this round. Matt: Ducks in 4. The Ducks, who finished first in the West, look like a team that has been in cruise control the last couple weeks. But they appear motivated by what I’d like to call the Teemu Factor. Selanne, who looks like he knows this will be his final season, wants another Stanley Cup ring and I like the Ducks to play hard for the best player the franchise has ever known. Dallas is a team just happy to be here. Chris: Ducks in 5. May the power Wild Wing compel you. Seriously… is anyone taking Dallas? J.J.: Ducks in 6. How the Ducks keep winning hockey games with one good line and a (relatively) no-name goalie baffles me. Clay: Ducks in 5. The Stars might get one, but that’s it. Look for some of Anaheim’s younger players (Bonino, Fowler) to shine. Victoria: Kings in 7. Because they can. With the addition of Gaborik to their already stacked scoring line-up – Carter, Kopitar, Doughty, etc. – they’ve got the advantage. Also, history dictates Sharks never win it all. This year will be no different and the Kings will put them out of their misery early. Matt: Kings in 7. I know we say this almost every year, but the Sharks always look like a team that thrives in the regular season only to come up short in the playoffs. Los Angeles is a team that has struggled to find consistency on offense, but their club has a history of flipping the switch when it matters most. I’ll take SoCal over NorCal, yet again. Chris: Kings in 6. Another series that will serve as a knock-down, drag-out brawl where only one team will survive. At least until round two. J.J.: Sharks in 7. Jonathan Quick has been good, but the guys in front of him have had trouble scoring all year. This should be a familiar script for Canucks fans. Clay: Sharks in 6. In this battle of teams that like to pound the Canucks, I like the Sharks’ firepower up front with Pavelski, Marleau, Thornton, Couture, Burns, and Hertl. Victoria: Wings in 7. Because the Wings are like the Goonies, they never say die. And because good should always triumph over evil. Matt: Wings in 7. My upset special for the first round. Detroit has been ravaged by injuries all season, but their kids (Tatar, Nyquist, etc.) have helped fill in the holes quite admirably. With Henrik Zetterberg practicing and potentially nearing a return, things are looking up on the injury front. The same can’t be said for Boston, who’s already without some key bottom six forwards in Chris Kelly and Dan Paille, not to mention the questionable status of Patrice Bergeron. Chris: I’m cheering for Motor City and wish them all the best in a long and glorious cup run. Bruins in 6. J.J.: Wings in 6. I had a late pick in my playoff pool and lost out on all the Bruins who went early in the draft. I hope Datsyuk and Nyquist both have a big series. Clay: Bruins in 6. They are hungry and right now the class of the East. Can’t believe I used the word class in describing these goofballs. Victoria: Habs in 6. Sure they’ve got Steven Stamkos, but Habs have Pacioretty and most importantly Price. If he can channel his Olympic mojo, Bolts don’t stand a chance. Matt: Habs in 7. My early nomination for the toughest series to call. The Bolts have been bolstered with the return of Steven Stamkos (11 goals in 20 games since his return), and provided goaltender Ben Bishop and forwards Valtteri Filppula and Ondrej Palat return for Game 1, should make for a tough test. Montreal is always a motivated club in the postseason, and Carey Price should have extra incentive after claiming the gold in Sochi. Chris: Habs in 7. Il faut battre le fer pendant qu’il est chaud. J.J.: Habs in 6. Ca-rey, Ca-rey, Ca-rey! PK and the Vanek-Desharnais-Pacioretty line aren’t bad either. Clay: Habs in 7. The longer Bishop stays out, the better for Montreal of course. Intrigued by the young Palat and Johnson on Tampa Bay, but I think Montreal is deeper throughout the line-up. Victoria: Penguins in 4. Fleury has learned his lesson and won’t meltdown… at least not this soon. And Crosby, Neal, Kuntiz and Malkin will make quick work of….of…. whoever plays on Lumbus. Matt: Penguins in 6. Every NHL postseason, there seems to be that one scrappy, annoying team that defies all odds and just doesn’t seem to go down without a big fight. The Blue Jackets reek of a team that is – perhaps foolishly – motivated to show the rest of the NHL that they’re worth being called a playoff team. The franchise hasn’t won a playoff game before, and the feisty Jackets should be able to embarrass Marc-Andre Fleury for at least a game or two. Chris: Penguins in 4. Have to feel good for the Blue Jackets for givin’ ‘er a good effort. Pens already have the brooms. J.J.: Penguins in 5. The Blue Jackets couldn’t beat the Penguins in the regular season; unless playoff-mode Fleury makes an appearance, I really don’t think they’ll beat them in the playoffs either. Clay: Penguins in 5. Too much firepower up front for Pittsburgh. Plus that Crosby guy. Victoria: Flyers in 7. This, kids, will be the series to watch. It will be long and scrappy in my opinion. AV has the ability to guide a team through the playoffs, but the Rangers have the history of failing early. Flyers have something to prove after a really crappy start to the season. If Giroux can stop with the stupid hits he’s got a history of in playoffs, then Philly will scrape through. Matt: Rangers in 7. Long live the King. Henrik Lundqvist has been sensational down the stretch, scraping together a .949 save percentage in his final five games and looking as good as he’s ever been. The Rangers’ success hinges largely on his shoulders, but something should be said about New York’s 25 road wins, which are best in the Eastern Conference. It’s hard to see the Rangers not stealing a game on the road. Chris: Rangers in 6. Because you know the darkest timeline has AV leading the Rangers to the Cup, right? J.J.: Rangers in 7. Only because it would be so Canuck-y for AV’s new team to have some post-season success immediately after being fired by the Canucks. Clay: Rangers in 7. Better goaltending. ‘Nuff said.